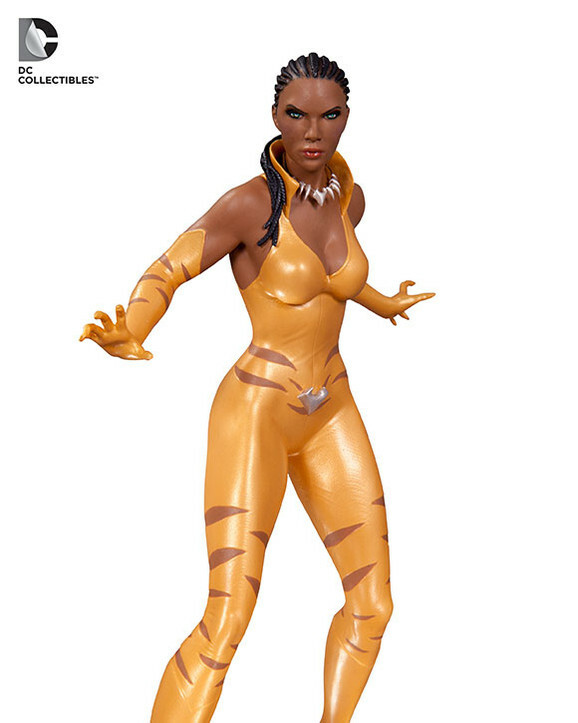 Vixen — the beautiful superheroine who can draw the skills from the animals she focuses on with the help of her the power of her Tantu Totem — is now an entry in the DC Collectibles Cover Girls line of statues. Vixen first appeared in Action Comics #521 (July 1981), and in the years that followed, became a prominent member of the Justice League. This statue is designed by Stanley "Artgerm" Lau and stands approximately 9 1/2 inches tall. Add Vixen to your DC Cover Girls Collection today!